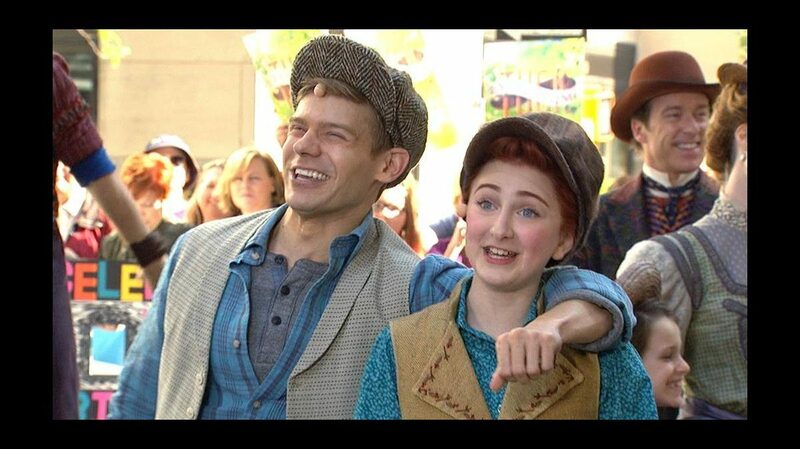 Broadway.com vlogger Andrew Keenan-Bolger, fresh face Sarah Charles Lewis and the cast of Tuck Everlasting know how to kick off a work week: with a trip to the fair! Based off of Natalie Babbitt's children's novel, the Casey Nicholaw-helmed musical follows the friendship of Winnie Foster and Jesse Tuck, whose family holds the secret to eternal life. The vibrant cast lit up 30 Rock with the twirly number "Partner in Crime," on May 23 on The Today Show. Watch the performance below, and catch the enchanting tuner at the Broadhurst Theatre!